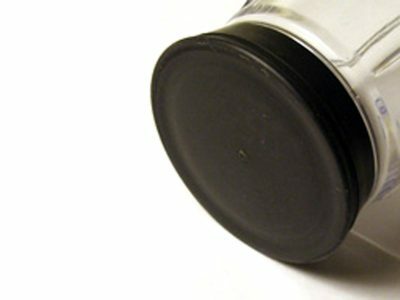 The AeroPress® Coffee Maker that we know and love. 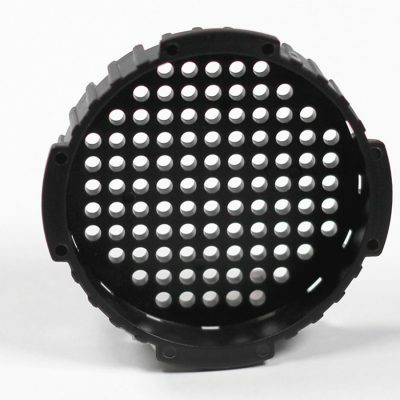 It’s a complete coffee making system, including 350 paper filters. 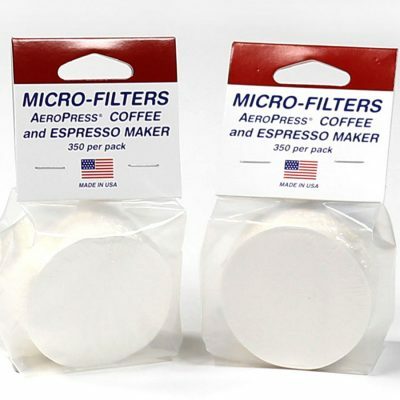 This combo includes an additional 350 paper filters (for a total of 700), so that you have them on hand when you need them. 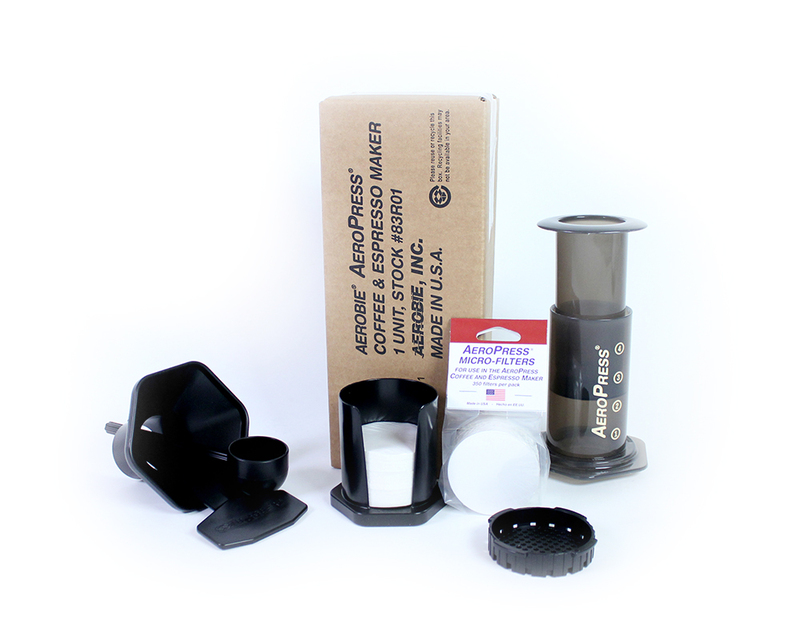 We ship it in this convenient cardboard package, as provided by the manufacturer, Aeropress, Inc. Its contents are the same as the distinctive white six-sided retail box you may have seen – plus an additional 350 paper filter pack.